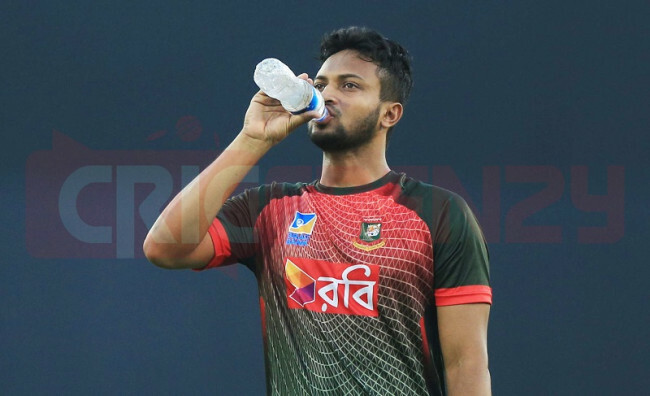 BCB doctor Debashish Chowdhury has informed that there is still discomfort in Shakib Al Hasan’s little finger on his left hand as it has still not recovered fully. The all-rounder was inflicted with the injury in January during a tri-nation series final against Sri Lanka. As a result, the Test and the T20I captain had to miss the rest of the game while also staying out of the subsequent Test and T20I series against Sri Lanka. He made his comeback in the second last match of the Nidahas Trophy in March. However, according to Debashish Chowdhury, he hasn’t fully recovered from his injury and subsided the pain using injections prescribed to him by an Australian doctor. ‘Shakib had a joint dislocation in his left pinky. He is now facing problems while batting, [as a result] he can’t put in his 100% effort while batting. He has informed this to us quite a few times, which is why he was sent to a hand surgeon in Australia. ‘Under the provision of Dr. David Howe in Australia, he was given an injection, after which the inflammation reduced a little bit. As a result, he has been playing pain-free for the last few months, even though there are some problems still left. He then added that a decision will be made once the team returns as the right window will need to be chosen for the operation – which will keep him out for at least a couple of months – to take place. ‘This is why once the team comes back, the management, Shakib and ourselves will have to sit and make a decision because an operation would mean two more months of rehab. ‘The window in which that could happen will be decided after discussions with Shakib and the management. ‘For now, the injections are easing the pain. After returning to the country, if he can continue training ahead of the Asia Cup, then perhaps we shall continue this way [via injections]. He then spoke in details about the injury that the slow-left arm spinner has, stating that he can never truly recover fully from it. ‘This type of injury never heals fully. However, 100% recovery is not important, 60-70% recovery will also make him functional. He won’t have problems while playing. A player doesn’t have to flex his hand 100% while playing, 60-70% is enough.